St. John’s will kick off the highly anticipated 2018-19 campaign playing four of its first five games in New York City, beginning with a pair of campus site contests as part of the Legends Classic. The Johnnies’ home opener at Carnesecca Arena is slated for Tuesday, November 6 against Loyola Maryland, which is followed by a matchup with Bowling Green three days later at Carnesecca Arena. 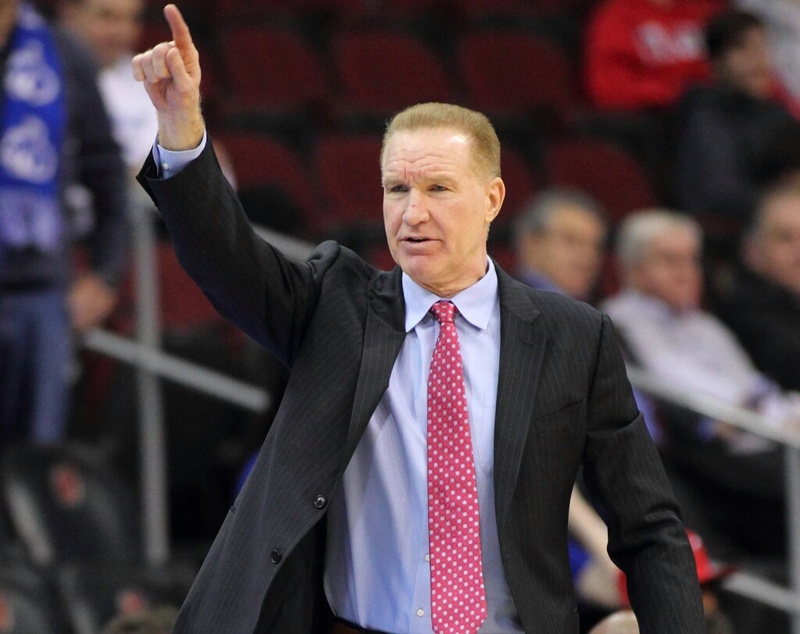 St. John's hits the road to take on Rutgers on November 15 in the Gavitt Tipoff Games. It marks the second meeting between the Johnnies and Scarlett Knights in the four-year history of the early season event that is named in honor of Dave Gavitt, who had a profound and lasting influence on the sport of basketball on the collegiate, professional and international levels. St. John’s owns a 27-14 all-time record against Rutgers in a series that dates back to 1974. St. John’s will compete in Brooklyn, where the University was founded in 1870, on Nov. 19 - 20 for the Championship Round of the Legends Classic at Barclays Center. The Johnnies are set to face Cal in the first semifinal contest of the 12th-annual tournament. The Red Storm’s first ever showdown with the Golden Bears will air on ESPN2 at 7 p.m. On the second day of the marquee early-season event, St. John’s will either rekindle their rivalry against Temple or square off with VCU. A consolation game will precede the championship tilt with game times slated for 5 p.m. and 7:30 p.m.
After its two games in Brooklyn, the Red Storm will make a brief return to Queens for a contest with Maryland Eastern Shore on November 27 before visiting the Sunshine State for the 2018 Hoophall Miami Invitational. A matchup between the Johnnies and Georgia Tech highlights the quadrupleheader at AmericanAirlines Arena hosted by the Naismith Memorial Basketball Hall of Fame. St. John’s returns to the Big Apple for its last five non-conference games of the calendar year, as the Red Storm starts the homestand on December 5 against Mount St. Mary’s at Carnesecca Arena. The Johnnies will then make their Madison Square Garden debut on December 9 versus Princeton, which will mark St. John’s 52nd all-time appearance in the MSG Holiday Festival. The Red Storm will complete the home portion of its out-of-league slate with three-straight games over seven days in Queens. St. John’s hosts Wagner on Decemeber 16, followed by a matchup with St. Francis Brooklyn on the 19th, and Sacred Heart on the 22nd at Carnesecca Arena. Wrapping up non-league action on February 2, the Johnnies will face one of their toughest tests of the campaign when they visit Duke for the first time since 2012. St. John’s is responsible for handing the Blue Devils their last non-conference setback at Cameron Indoor Stadium, as Bootsy Thornton scored 22 points to lead the Red Storm to an 83-82 victory on Feb. 26, 2000. Last season, St. John’s downed the No. 4/5 Blue Devils, 81-77, before a sellout crowd at Madison Square Garden. Shamorie Ponds shined for the Red Storm, pouring in a game-high 33 points to go with seven rebounds, four assists and three steals against a Duke squad that would advance to Elite Eight of the NCAA Tournament. Mikey Dixon and Sedee Keita will make their Red Storm debuts after sitting out last season due to NCAA transfer regulations, along with JUCO All-American LJ Figueroa. St. John’s did a fine job in the offseason, and the new recruiting class includes freshmen Marcellus Earlington, Josh Roberts and Greg Williams Jr., as well as first-year transfers Mustapha Heron, a former five-star recruit, Eli Wright and David Caraher.